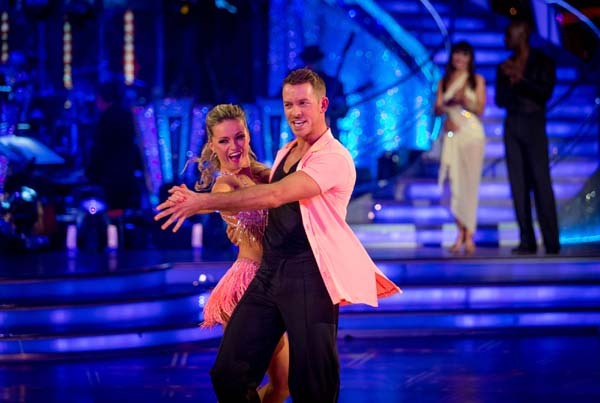 Ashley Taylor Dawson and Ola Jordan became the tenth couple to leave Strictly Come Dancing as they lost the dance-off with Patrick Robinson and Anya Garnis in week 11. It was Ashley’s second time in the dance-off in a row but it was a close run thing when the judges decided it was time for Ashley to leave. With Ashley’s departure we now have the five couples who will compete in next week’s Semi-final where four slots for the Final will be up for grabs. Whilst all the remaining couples have a chance the bookies have written off Patrick Robinson who is now a 16-1 shot to win the competition. 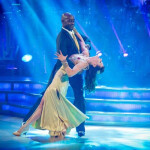 That is despite him heading the leaderboard this week along with Natalie Gumede. It’s sad that such a talented dancer seems to have no chance of winning. Still it’s down to the viewers to choose so nothing is certain. In the dance-off Craig Revel Horwood, Darcey Bussel and Bruno Tonioli all voted to save Patrick and Anya so that was the end for Ashley and Ola. It could have been different as the out-of-sorts head judge Len Goodman said that he would have saved Ashley as Patrick had made errors by leading with his heels in the Rumba which is apparently a no-no. Len seemed particularly grumpy and I can only assume that he wasn’t feeling that well. Ashley and Ola had been first to go in the dance-off as they repeated their Salsa to Gloria Estefan’s ‘Conga’. It was a good performance, possibly slightly better than the live show performance, with the challenging lifts executed very well. Patrick Robinson And Anya Garnis went second in the dance-off with their Rumba to ‘When I Was Your Man’ by Bruno Mars. Again they performed it as well if not better than the live show performance. How Len could mark the original dance at nine and then complain that the heel leads were a problem in the dance-off beats me but then what do I know. I did watch the two dances that Patrick and Anya performed (live show and dance-off) a number of times and although they made the dance-off a little less raunchy (probably partly in response to Len’s comment in the live show that this was a ballroom not a bedroom) I couldn’t see much difference in the footwork. That said we see very little close up of the footwork on TV and so audiences at home are not in a position to see the difference. There was clearly something up with Len as this candid shot of him and Bruno just as Ashley finished his dance shows. That may explain his demeanour on the two shows. Hope that it was simply a short term problem and something straightforward and that Len can bounce back. We want Len back on form for the semi-final and final. We also had a performance from the Saturdays. We now have two shows left before we find out who is going to lift the glitterball trophy and to be honest it could be anyone (with the possible exception of Patrick who as mentioned earlier has been written off by the bookies). Next week is the semi-final and we lose one more couple, with four couples going through to the final. Will Patrick defy the odds and make the final or will it be an all female affair? We will find out next Sunday night.